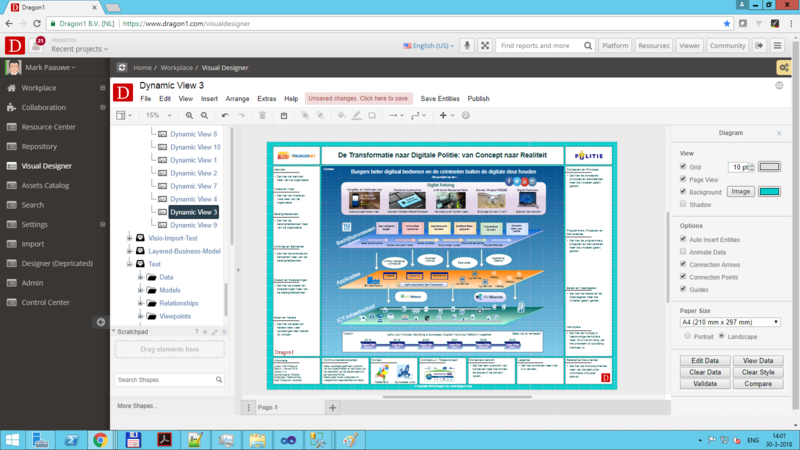 Users on the Dragon1 platform are very productive because of the templates. This saves a lot of time and work. You just click on a template and 20% of your diagram is already finished. 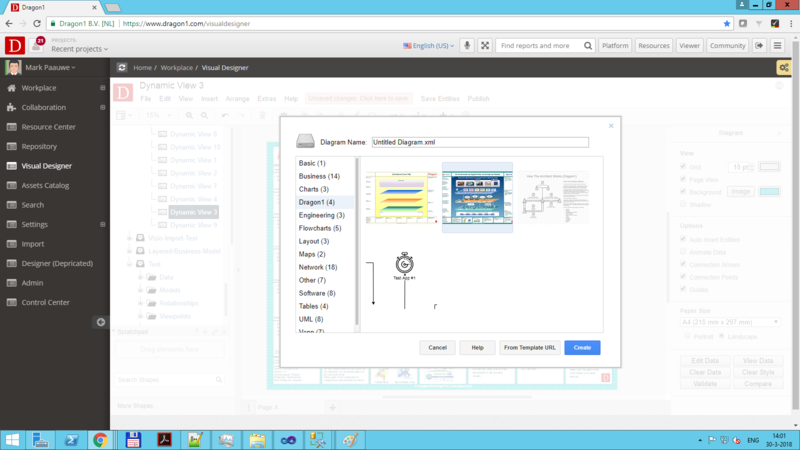 We will start by using the Dragon1 Architecture View Layout. There are three things you can do: alter the template, add static shapes or add visual items (dynamic shapes). Suppose the template you have chosen is almost exactly what you need, you just alter it a bit (Title, Logo, etc..) and then show it to a stakeholder to get input. Suppose you think the template is a good basic canvas for your diagram, you start drawing your diagram on it (by dragging shapes to the canvas). And be sure to save your visualization. Suppose you have a model and view present, you can attach them to a visual item and place (drag) that visual item on the canvas. In this way, you can create very easy and fast a complete architecture visualization. Choose your View Layout Template. Example Screenshot of an inserted View Layout Template.